Even as an undergraduate, Jonathan Yi knew he wanted a sense of adventure in life that a normal office job could never provide. This drive for an exemplary life, along with a thirst for adventure, coalesced into a mission to join the military as Yi watched the events of September 11 unfold on television in front of him. Yi is the first member in his family to have served in the military, though his parents, who emigrated from Korea, have positive memories of the US military dating back to the Korean War. In an effort to balance both his parents’ wishes for him to finish school and his own dreams, Yi waited until he graduated from University of California, San Diego with a BA in Psychology to enlist with the Marine Corps in 2006. Eager for adventure and a desire to serve his country almost immediately, Yi took the first posting available: communications. This drive to serve led to Yi’s serving two tours in Iraq, the first in 2007 and the second in 2008 to 2009. During that time, he served in the Route Clearance Platoon. Route clearance was a critical role for US forces in Iraq, as personnel were responsible for finding and rendering inert Improvised Explosive Devices before they could harm coalition forces or Iraqi civilians. “During deployment,” Yi said, “I was the field radio operator for a route clearance platoon, so my duties included setting up both short-range and long-range communications between our convoy unit and with friendly bases throughout our AO (area of operations). During Yi’s second deployment, he took on the additional responsibility of being a squad leader of the platoon’s support squad. Two and a half years into Yi’s enlistment, his dedication and hard work led to his promotion to the rank of sergeant. In this role, he became responsible for the professional and personal development of the Marines serving below him. 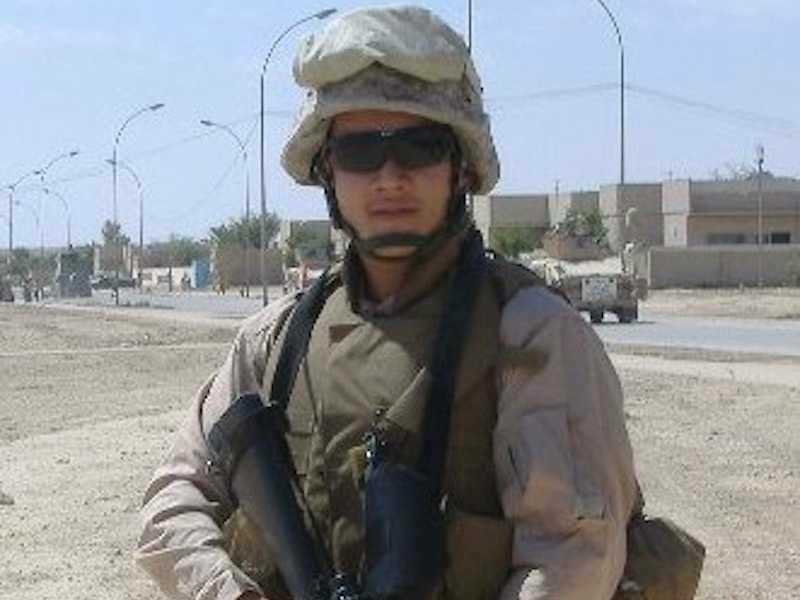 When Yi left active duty in January 2010, he didn’t see any immediate use of his military skills — “There aren’t that many MRAPs to drive, or military radios to set up, or IEDs to detect and disarm,” he said — but he got a lot out of the attitude he learned in the Marines. That attitude helped out when he attended St. John’s Law School in Jamaica, Queens. “It was difficult for me to listen to fellow students during law school complaining about how much reading they have to do, or how they have no time, or really any sort of whining in general, when the military mentality is to just grit your teeth and bear down,” Yi said. Today, Yi has a coveted position as an assistant district attorney at the Appeals Bureau at the Queen’s County District Attorney’s Office. He says his time in the military is still paying off.